NEW YORK—J PowerHouse VFX, the New York-based boutique VFX studio, rounded out its first year in business by serving as the sole visual effects vendor on M. Night Shyamalan’s GLASS. In theaters on January 18, 2019, GLASS is a showcase for PowerHouse’s best-in-class talent and sterling client relationships. 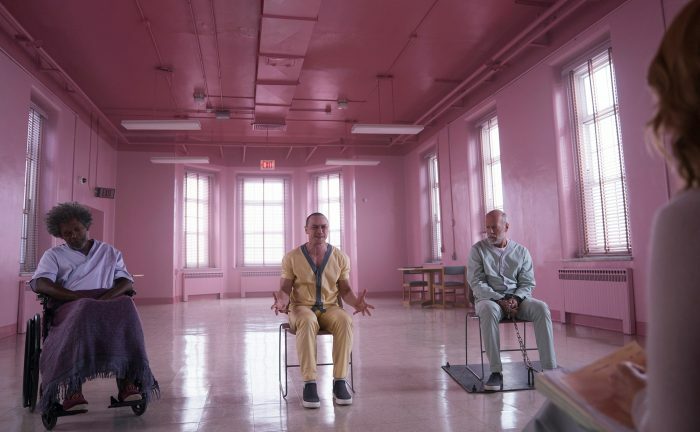 Founded in 2017 by veteran VFX Executive Producer Bob Lowery and Sr. VFX Supervisor Ed Mendez in partnership with Jonathan Hoffman and Pete Conlin, principals of post services stalwart Sixteen19, PowerHouse provided Shyamalan and his team with the full-service approach that has quickly become the company’s calling card across the industry. PowerHouse completed approximately 300 shots ranging from Hero CG character animation work, environmental set extensions including buildings and cars, to bringing The Beast to life in many more scenes than they had done previously in Split. Unlike many of the modern-day superhero movies, a vast majority of our work will go unnoticed, but we prefer it that way and so does Night and his team. The PowerHouse team that helped bring GLASS to life has grown to include top-notch talent like CG/VFX supervisor Dan Bornstein, VFX supervisor Ruben Rodas, general manager Chris Kenneally, and Sr. VFX producer Ryan Cunningham in the company’s first year. The team brings decades of experience from companies like ILM, Dive, Cafe FX, and Zoic to the table, and leads a group of forty artists and counting. GLASS is just the most recent in a string of groundbreaking projects that have helped build PowerHouse’s reputation as an industry leader in 2018. The company brought its dynamic, collaborative approach to films like MARY POPPINS RETURNS, A QUIET PLACE, and NIGHT SCHOOL, and TV shows like THE MARVELOUS MRS. MAISEL and USA Network’s THE PURGE. PowerHouse’s growing reputation as a vital creative partner is enhanced by its strategic partnership with Sixteen19. While the latter has long been known as one of New York’s premier post houses from dailies through picture finishing, PowerHouse provides a missing piece of the puzzle. Together, the companies offer a unique solution for clients – a start-to-finish suite of post and VFX services under one roof. For more information call 215-284-9949 or visit www.powerhousevfx.com.